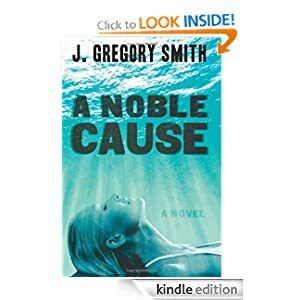 For thrillers lovers Amazon offers a good chance to get the following book: A Noble Cause by J. Gregory Smith just for $0.99. Mark Noble plans a surprise proposal to his beautiful girlfriend during a romantic Caribbean vacation. But before he can pop the question, his girlfriend disappears, and his father–a world famous celebrity doctor who seems to have perfected mind-control–is killed in a mysterious fire back home in Pennsylvania. When Mark investigates both his girlfriend’s disappearance and his father’s death, he realizes that the two events are connected. He attempts to unravel the mystery with the help of his eccentric grandmother and the courageous crew–one a former Navy SEAL–of her luxury yacht, putting all of their lives in danger as Mark faces a rich and powerful foe determined to pry from Mark a secret he doesn’t even know he possesses. Breakneck pacing and taut plotting mark Greg Smith’s sophomore effort, a top-notch thriller with keen intelligence and shocking twists that create a brooding, vice-like compression that leaves little room to breathe. Jot down ideas, sketch plans, or just doodle with Whiteboard Pro, an Android app that offers a simple way to let your creativity roam. Draw shapes and erase them, just like on a real whiteboard. Choose from a variety of easy ways to fine-tune your drawings, and share your creations with your friends. 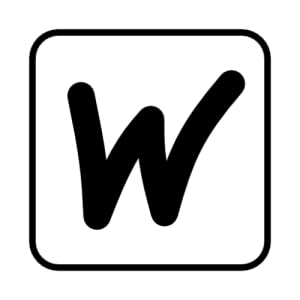 Whiteboard Pro is all about simplicity. The toolbar interface is a snap to use, and it makes creating a drawing quick and intuitive. Whether you want to express your inner creative self or just play a quick game of tic-tac-toe, you’ll find it easy to get started. Don’t be fooled by the app’s ease of use, however; there are still plenty of opportunities to customize your work. Choose from four instant shapes (line, rectangle, circle, and freehand), four colors (black, red, blue, and green), and three line widths. It’s easy to set these features and create one-of-a-kind images with very little legwork. As you draw, use the pan and zoom features to add details. Saving, opening, and deleting files is a breeze, and the “infinite undo” feature means you can modify your work at any step along the way. When you’ve completed your masterpiece, you can share it via e-mail, picture message, Bluetooth, Evernote, Catch, and more. You can also export any drawing to PNG, JPG, or SVG formats. This entry was posted in Kindle Applications, Kindle Apps, Kindle Books, Kindle Daily Deal and tagged A Noble Cause, j. gregory smith, Whiteboard Pro by Paul. Bookmark the permalink.